I'm the one on the right. 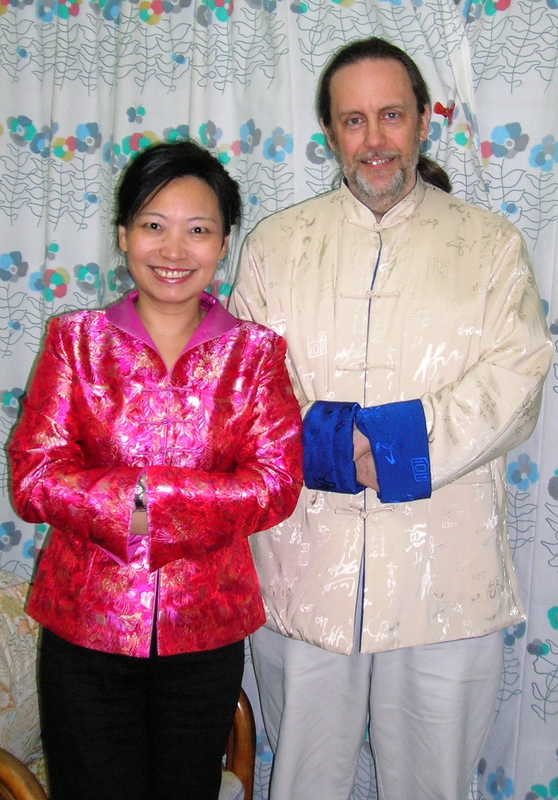 The one on the left is Li Chi-ping, who became my bride on 13 February 2007 and inexplicably still is. (Photo taken March 2006, Taipei). á Jim's CV, current as of 23 March 2018 and soporific as ever. á The more-or-less official site for my book, Richly Parameterized Linear Models: Additive, Time Series, and Spatial Models Using Random Effects, which was published by Chapman & Hall in November 2013.
á Materials for PubH8492 "Richly Parameterized Models". The materials are from the Spring 2018 offering of this course. á Some old papers of mine that are hard to find. Sander Greenland told me I should make them available, so here they are. These include stat theory papers from the obscure volumes Bayesians produced when they still saw themselves as a persecuted minority, and some propaganda against simulation models, especially combat simulation models. á Miscellaneous useful or inspiring things (e.g., a talk on permutation tests and Feynman on cargo-cult science). á Regarding the Diversity Visa Lottery 2012.
á Manual of Operations, OPT Study, version 1, free for you to download and crib! Use it at your own risk. á Materials from Summer 2008 VA Methodology Group series: "Everything is a Mixed Linear Model". á Pre-publication versions of Smoothed ANOVA with application to subgroup analysis, with authorship varying by version. This was eventually published in Technometrics in 2007.
á Pre-publication versions of "Counting degrees of freedom in hierarchical and other richly parameterized models", which was eventually published in Biometrika in 2001.
á Items associated with "Some algebra and geometry for hierarchical models, applied to diagnostics" (JRSSB 1998). This page is updated pretty regularly these days. Go to the U of M Biostat home page. Official Disclaimer: The views and opinions expressed in this page are strictly those of the page author. The contents of this page have not been approved by the University of Minnesota. Unofficial Disclaimer: This is all my fault. Bad statistician! No data!